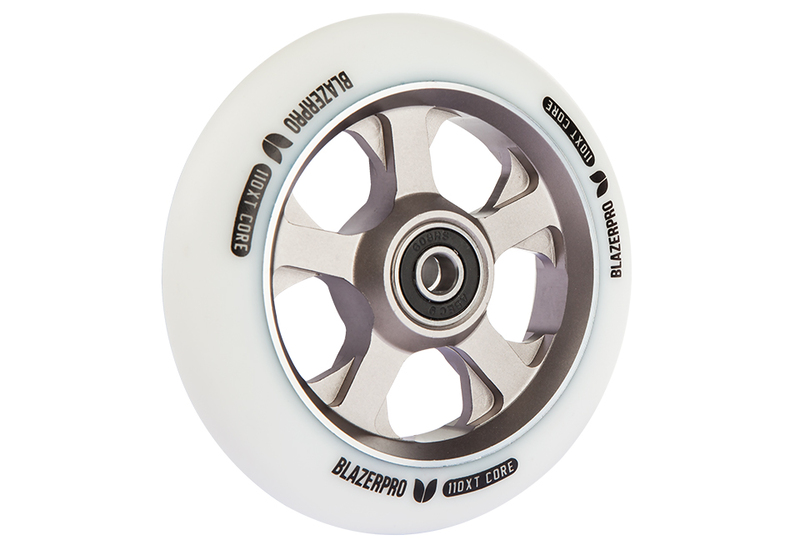 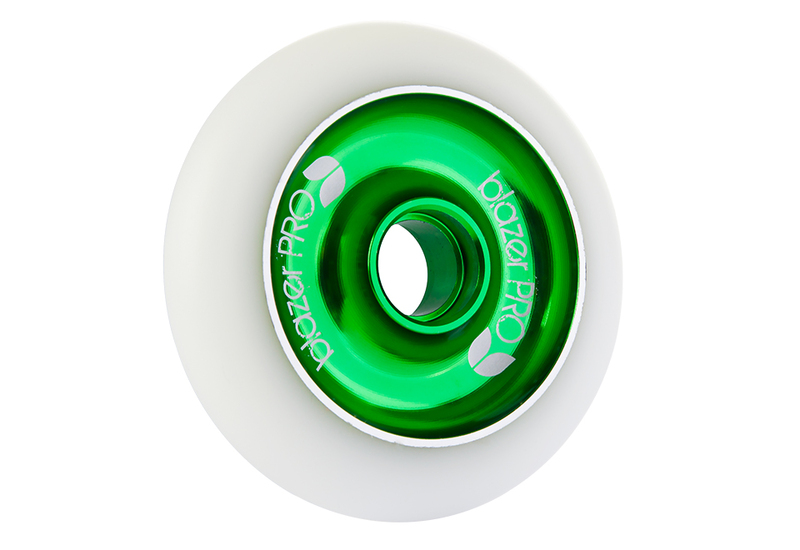 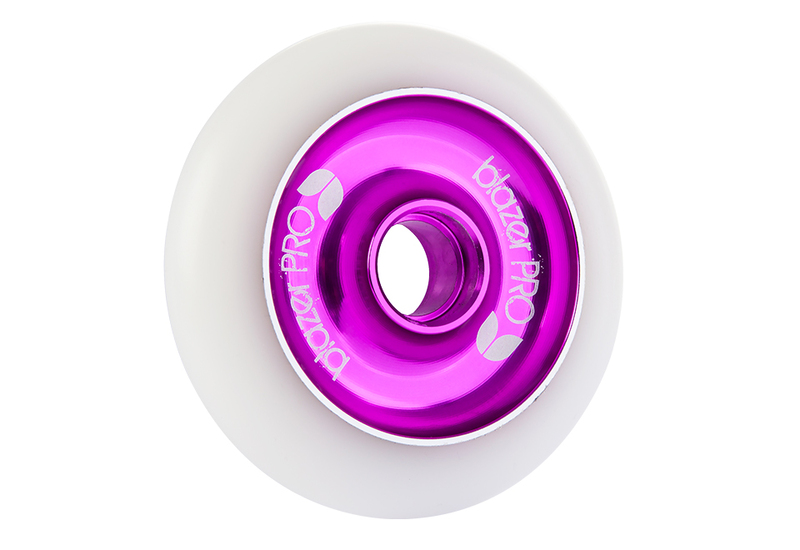 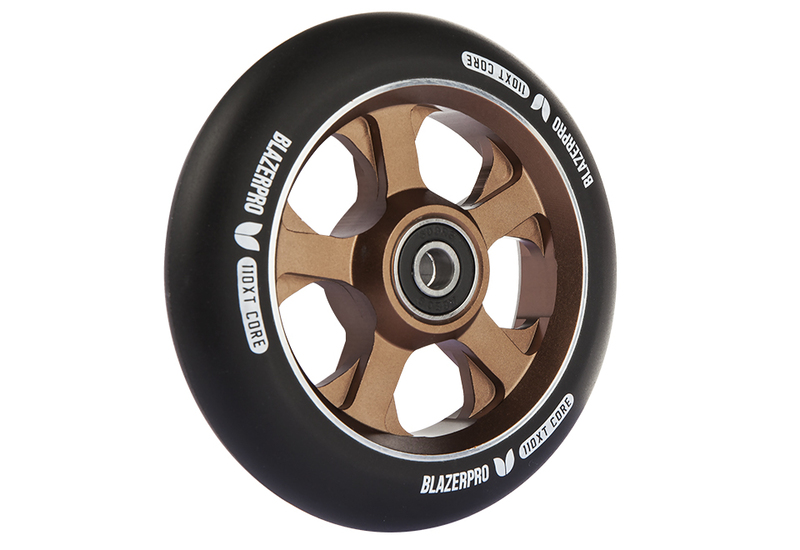 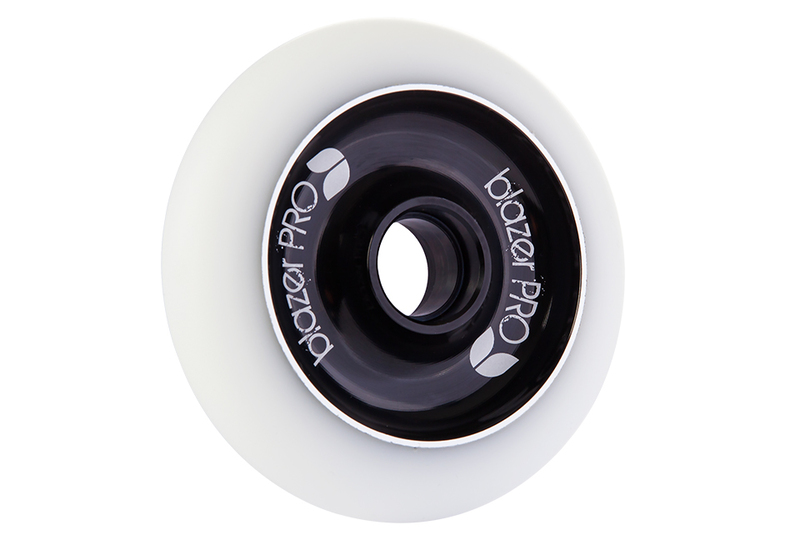 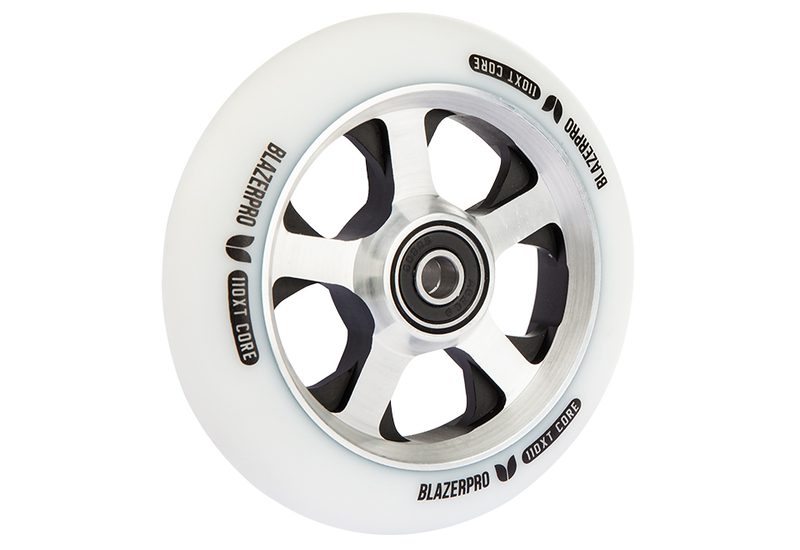 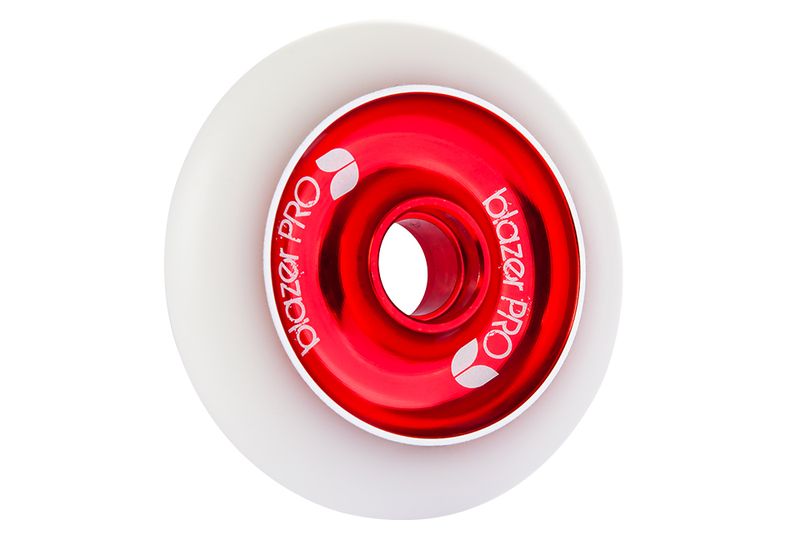 The XT110 Wheel is a brand new, exclusive wheel from BlazerPro. 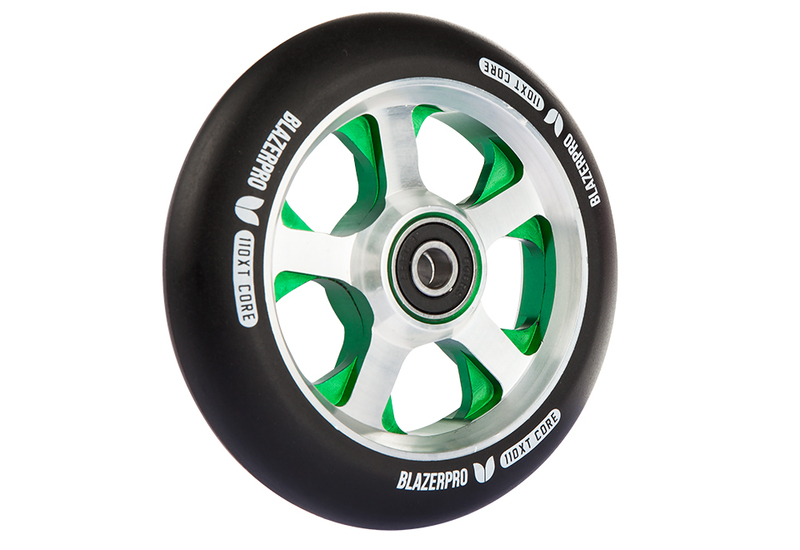 The CF110 comes with a cold forged anodized core complete with a high grade 88A PU Tyre. 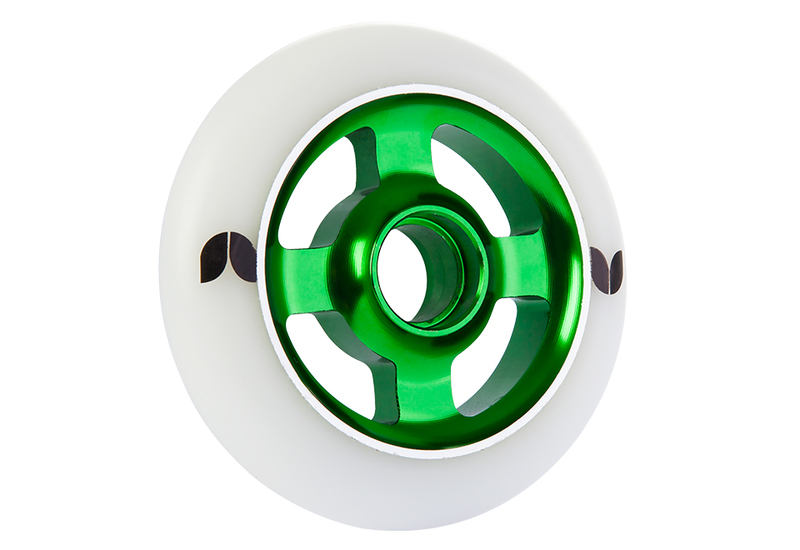 Our tried and tested CNC aluminum core with anodized finishing. 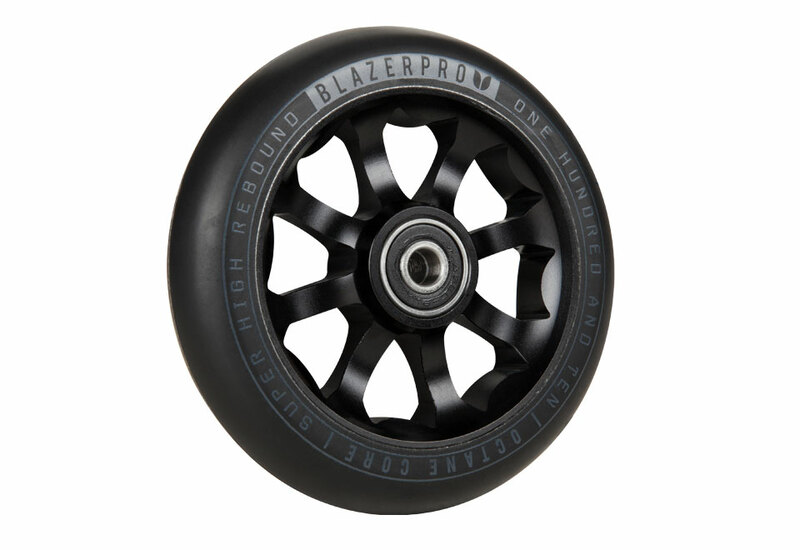 The Stormer comes with a High grade 88a PU tyre complete with Blazer ‘Tulip’ branding. 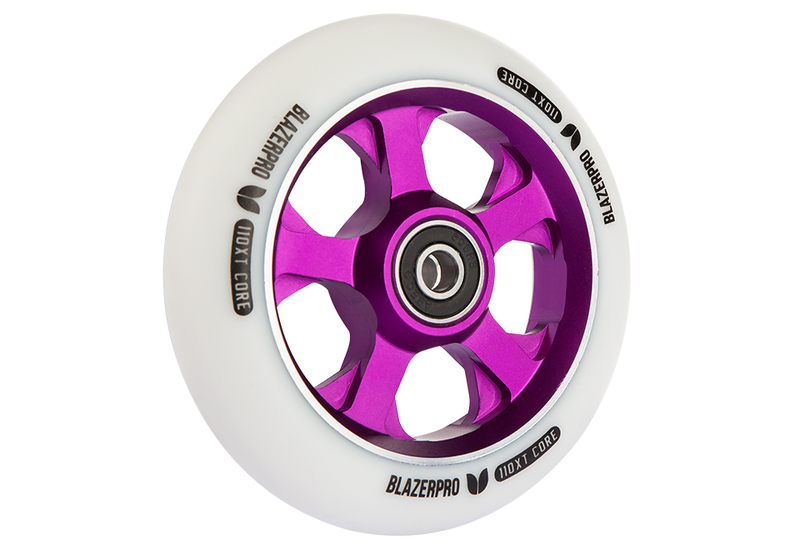 The Vertigo utilises our excellent 100mm anodized aluminium core with added laser etched detail. 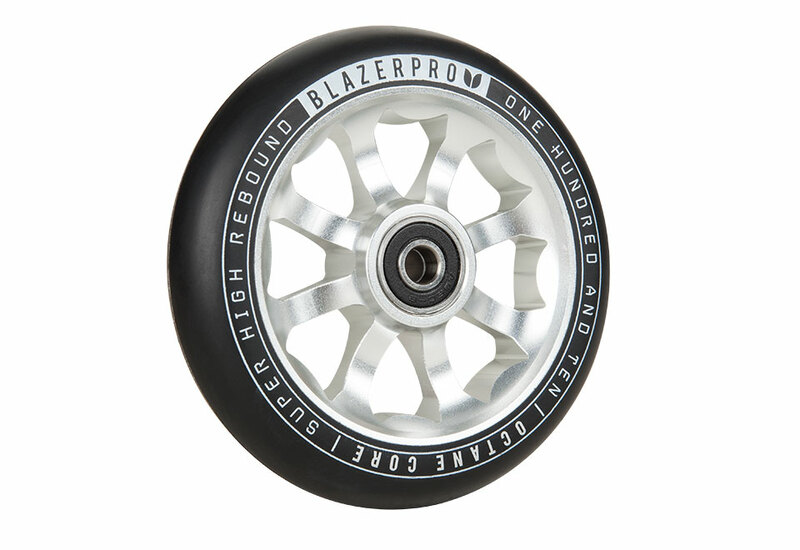 Add that to the two-tone high grade 88a PU tyre, the Vertigo really stands out from the crowd. 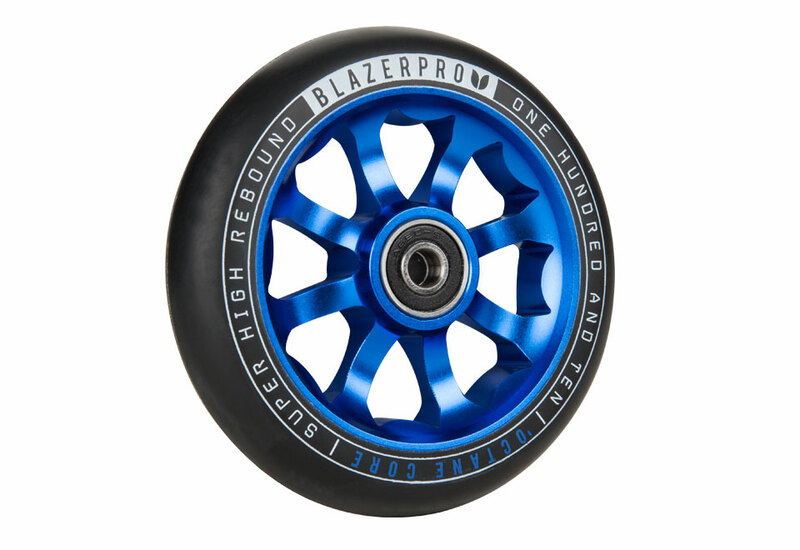 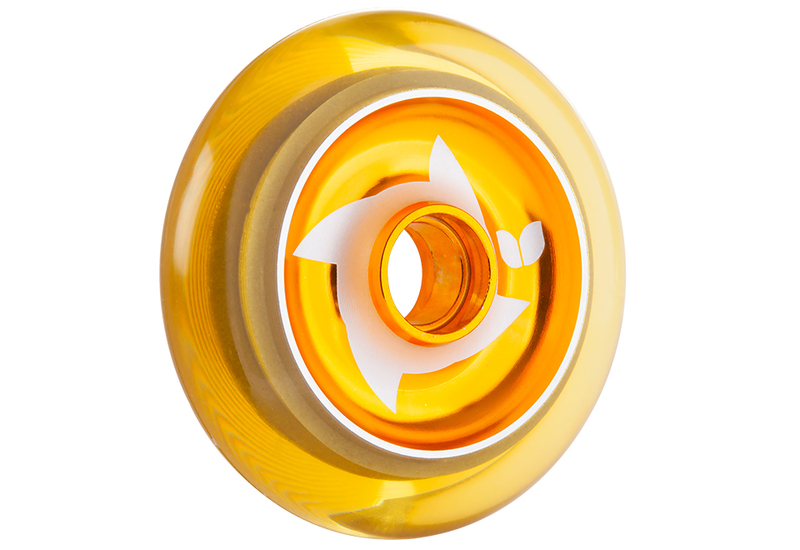 The Shuriken seals the deal with a clear coloured HRC 78a tyre giving it a unique look. 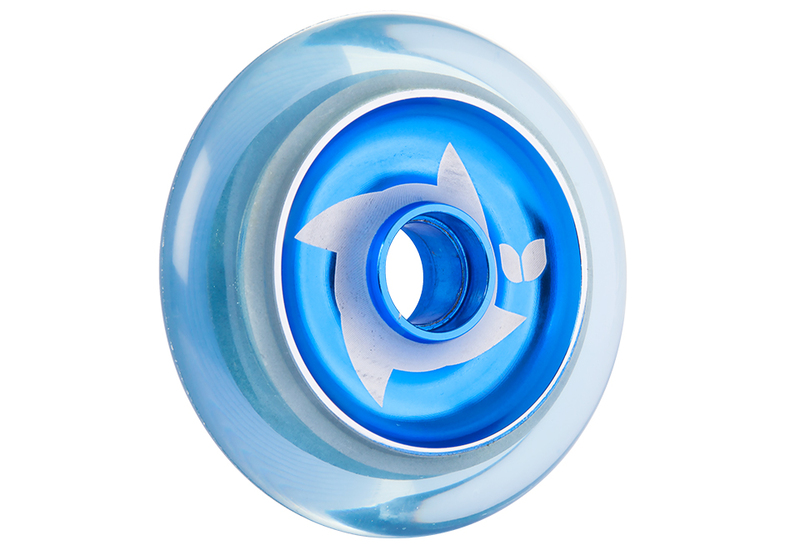 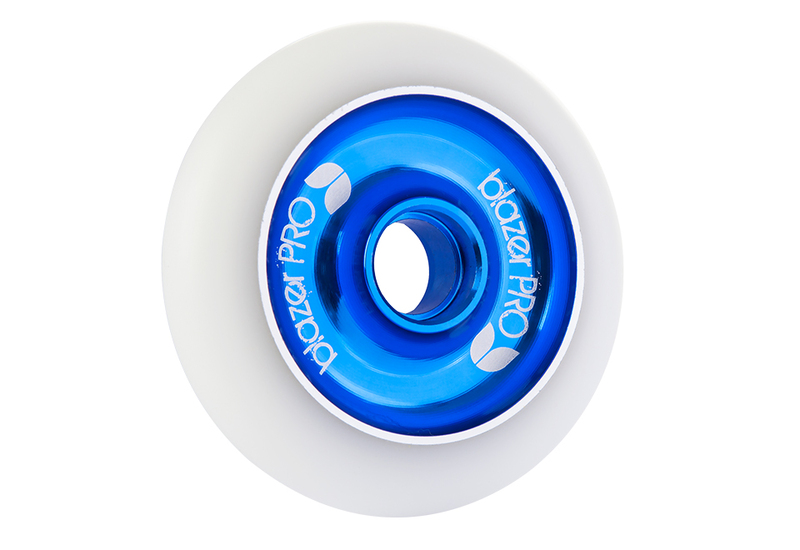 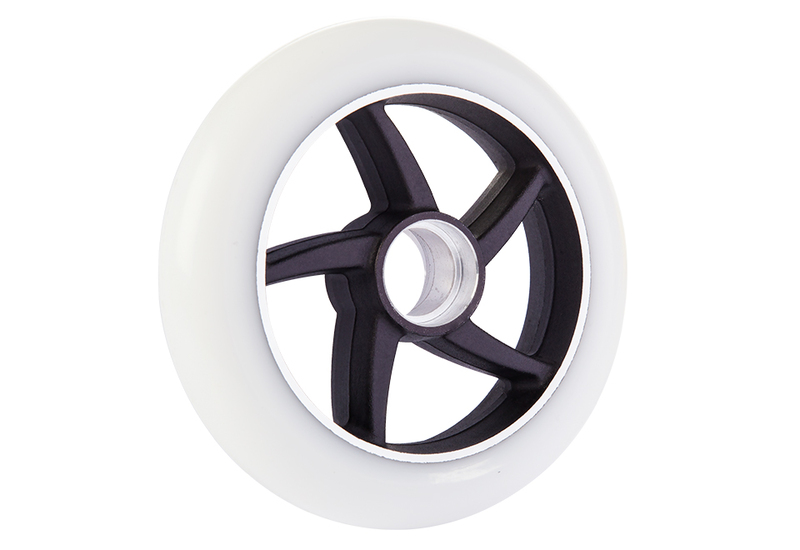 Our classic aluminium core wheels deliver a solid wheel at a great price. The anodized aluminium core comes with a high grade 88a PU tyre.